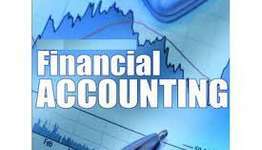 Accounting refers to the process of maintaining and reporting of the financial information. Its importance is due to multiple reasons like regulatory requirements, business requirements, stakeholder reporting, etc. 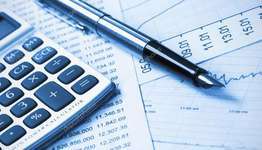 There are three main areas in accounting which are financial accounting, cost accounting and management accounting. Financial accounting is, more specifically, the use of financial data in presenting an accounts-oriented picture of the organization. This is done chiefly for the benefit of people outside the organizations like stakeholders, partners or collaborators etc. Through these accounts, mostly published in nationwide or local daily newspaper, parties with a vested interest or any other interest in the company's financial situation are able to get a realistic picture of the financial situation. The accounting standards that are followed in financial accounting are both local/national and international. The format of presentation and standards of accounting will vary according to the scope of the organization. It is also a mandatory process under the guidelines of the regulatory bodies (mainly tax authorities and capital market regulatory organisations) of the country in which the company is operating. It defers from management accounting in a way that management accounting is reporting of financials of a company to its internal decision makers and does not follow any standards for reporting as followed in financial accounting. If you need financial accounting assignment help then contact us at the finance assignment help site.